Our third project "The Butterfly Effect", was situated in the Re Start Mall, next to the Scorpio Bookstore. 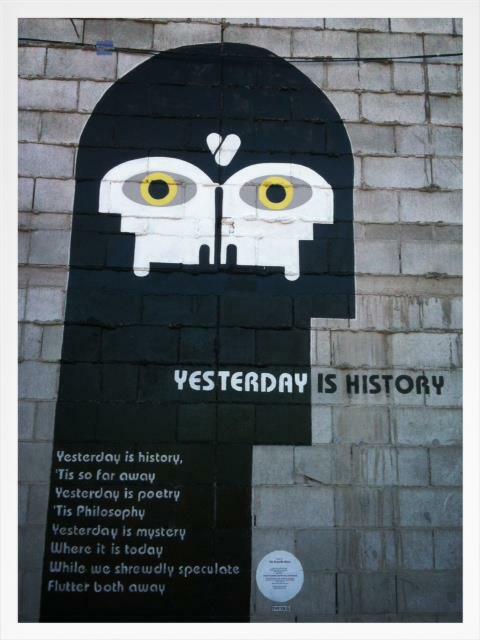 Poetica founder, Elise Van Bentem designed the enigmatic and thought-provoking image to accompany the poem "Yesterday is History" by Emily Dicksonson. 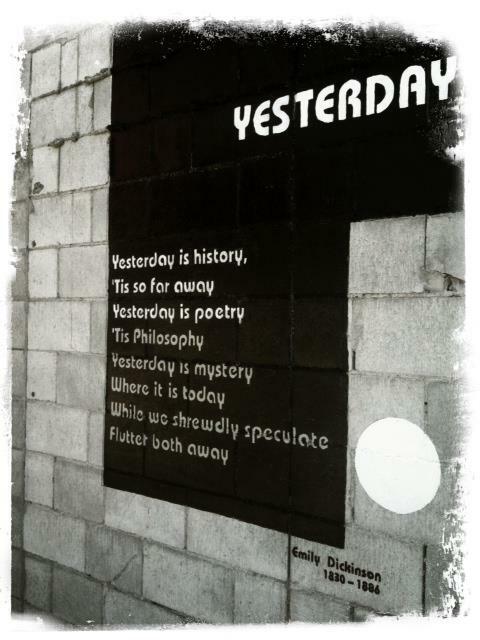 The container mall moved and the poem disappeared behind buildings to officially became a "ghost poem", hidden by the rebuild. Special thanks to: Coralie, Hannah, Trent, and Richard at Gapfiller, Paul Lonsdale from Re:Start Mall, Jeremy Sauzier and Claudia Jardine for the wonderful paint job.